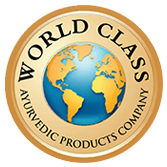 Aloe Vera is known for its infinite healing properties in the history of Ayurveda. Speeddwell Herbal Shampoo carefully combined with Pure Aloe Vera and Neem leaf extract gets you Strong and Long Hair. This unique herbal shampoo helps to cleanse, nourish and condition your hair naturally.